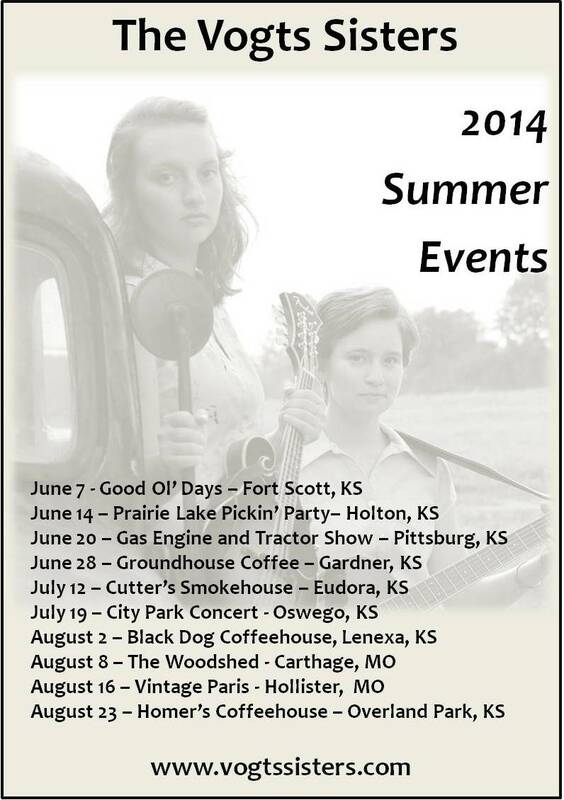 This last month was very busy for our family as we traveled around Kansas for weekend concerts with our daughters. The coming months are just as packed with fun places to go and new people to meet. If you're in any of these areas, we'd love for you to join us for a night of music. Learn more about The Vogts Sisters HERE. We're continuing the process of recording the girls' second album. So far, so good. Everything is sounding really great, and we are eager to share their music with you. If you've never heard them perform, here's a video clip of one of Maggie's first songs that she wrote. She now has over 20 original songs. Very exciting times!